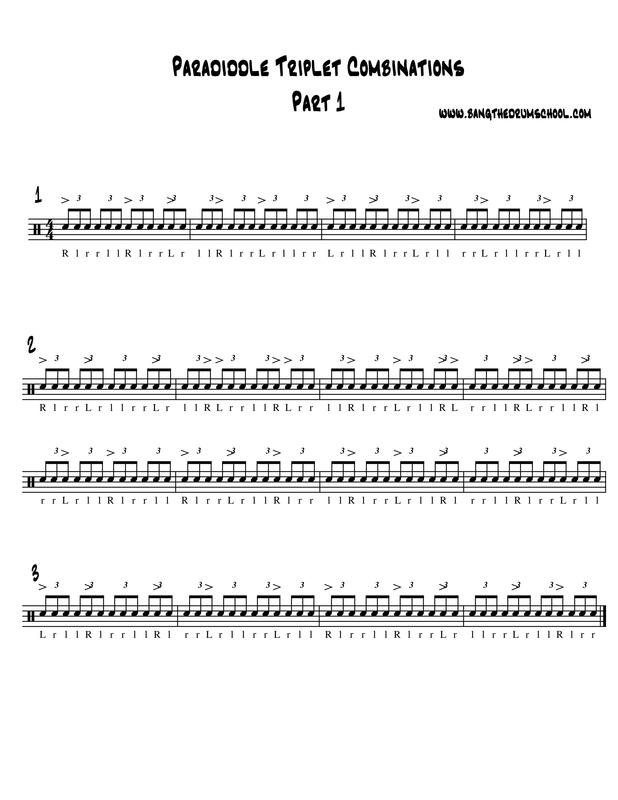 There was a time when I was obsessed with a Vinnie Colaiuta solo from Zildjian Day, below. Have a look at the video and you may see why. His usual ridiculous chops dazzled me. His rhythmic mastery astounded me. Who would have thought to put the accents there? Vinnie plays some really fast triplet paradiddle and paradiddle-diddle combos (the subject of this post) at around 2:56 until around 3:00. After slowing down this solo on my Marantz cassette deck with tone control (and I mean slowing it way down), I was able to hear that this blazingly fast section beginning at 2:56 was most definitely sixteenth note triplets, and that the phrasing was such that it had to be based on paradiddles and paradiddle-diddles. It sounded so cool that I began to work out some combinations for myself. It’s a powerful concept, one that is easy to confuse the listener (and your band mates) with, so please use these ideas with care. Note that I’ve written these out as eighth note triplets, because I think it is easier to digest that way. You can pick little bits of these out as you see fit. They sound pretty cool, and you don’t have to play them at Buddy Rich tempos (like Vinnie does…I clocked that solo at around 160 bpm!!) because the phrasing is interesting enough that they sound good slower as well. I’ve tried to make them look a bit nicer this time.